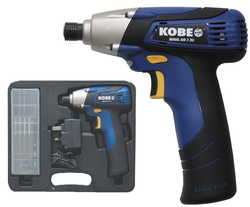 Pioneers in the industry, we offer straight and angle die grinder, impact wrenches, metal nibbler, 10 mm straight drill, reversible angle drill and pistol drill from India. 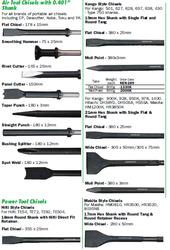 For precision engineers’ mould making etc. 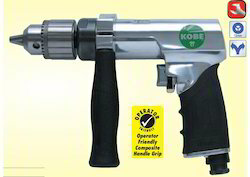 Safety lever throttle,front exhaust, ultra compact and lightweight. Minimum air hose size(ID): 10mm (3/8”). Air consumption: 4cfm*. 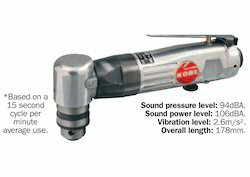 Sound pressure level: 94dBA.Sound power level: 103dBA.Vibration level: 5.0m/s2.Overall length: 120mm. Zips through sheet metal, plastics and other sheet materials. Built-in thickness gauge for convenience with easy punch and die replacement for reduced down time. 3mm hex wrench, punch & die set, spacers x 2. 10mm Jacobs chuck, stall-resistant, safety lever throttle,high performance, planetary gearing, 3/8” - 24 spindle thread.Air inlet thread: 1/4” NPT. 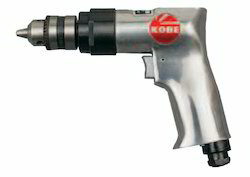 Chuck capacity: 10mm.Spindle thread: 3/8” - 24. Minimum air hose size (ID): 3/8” (10mm).Air pressure: 90psi/6.3bar. Air consumption: 4cfm* (144ltr/min).Noise level: 88dBA. 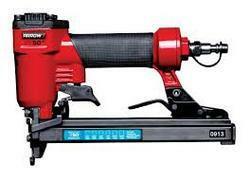 Sound power level: 95dBA.Vibration level: 2.5m/s2.Overall length: 206mm. 10mm Jacobs chuck, stall resistant,heavy duty bearings, 1/2hp motor,3/8”- 24 spindle thread.Air inlet thread: 1/4” NPT.Minimum air hose size (ID): 3/8” (10mm).Chuck capacity: 10mm.Spindle thread: 3/8” - 24.Air pressure: 90psi/6.3bar. Air consumption:4cfm* (144ltr/min)sound pressure level: 87dBA.Sound power level: 103dBA.Vibration level: 1.5m/s2.Overall length: 165mm. 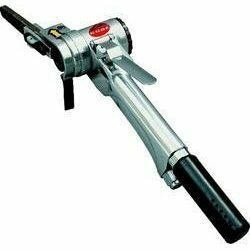 Suitable for high torque drilling applications as well as screw driving, hole sawing and cylinder honing.Rubber handle provides grip and operator comfort.1/2” chuck. Adjustable side handle. Short gear case design. Heavy duty gearing system with oil-less bushing. Spring loaded rotor vanes. Rear exhaust.Ball bearing construction for a long tool life. Spindle thread: 3/8” - 24. 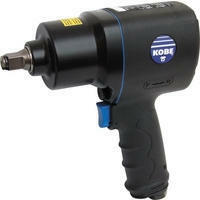 For metal dressing, rust removal, weld preparation and automotive bodywork fabrication in hard to reach areas. Speed regulator. Safety release throttle. 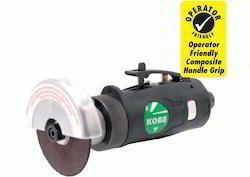 Heavy duty disc guard. Side exhaust. Ball bearing construction. Disc size: 50 x 4 x 9.6mm (2” x 5/32” x 3/8”). 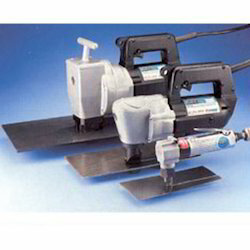 For cutting auto panels, light sheet metal, fibreglass, nutsand bolts. Powerful 0.5HP motor. Speed regulator.Safety release throttle. Rear exhaust. Rotating air inlet.Reverse feature. Ball bearing construction. Disc size: 76 x 1.8 x 9.6mm (3” x 1/16” x 3/8”). Industrial Mini Belt File Sanders have slimline design for access into confined spaces.Ideal for flat, concave and convex surfaces. Rear exhaust (complete with silencer), 1/4” NPT air inlet thread for 10mm air hose, 85psi air pressure, 14.2cfm* air consumption. Belt size: 6 x 330mm. Belt size: 13 x 610mm. Belt size: 20 x 520mm. Note*: Based on a 15 second cycle per minute average use. B7444 Suitable for production and assembly applications. Twin hammer mechanism. 1/2" square drive. Three position dial style speed regulator. Forward/reverse selection. 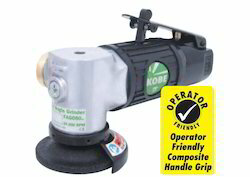 Ergonomic and comfortable handle grip. Fixed inlet and exhaust. Forward: position 1: 4000rpm, position 2: 5000rpm, position 3: 7000rpm. Reverse: position 1: 3000rpm, position 2: 5000rpm, position 3: 7000rpm. Collet size: 1/2" (13mm). Free speed: 7,000rpm. Maximum torque: 813Nm (600ft/lbs). Recommended air pressure: 6.2bar/90psi. Air consumption: 4cfm* (113ltr/min). Air inlet thread: 1/4" NPT. Minimum air hose size (ID): 10mm (3/8"). Sound pressure level: 83dBA. Sound power level: 90dBA. Vibration level: 6.8m/s2. Overall length: 183mm. *Based on a 15 second cycle per minute average use.